Severance taxestaxes levied upon the production of oil and natural gashave long been popular with state governments. Such taxes are thought to have minimal impact upon the areas where petroleum wells are located, the costs of such taxes can be exported to a large and dispersed consumer base in other states, and an oil or gas well can not be moved to another state where taxes are lower. Because of these factors, severance taxes seem like ideal taxes for legislators to impose. But how do severance taxes work in the real world? Are they as really painless as they sound? Because of the immobility of the resource being taxed, do states tend to overtax? In this provocative study, the authors survey state severance taxes and find they tend to lower petroleum production, reduce jobs in the states imposing such taxes, and have negative effects that can ripple throughout a states economy. Severance taxes look like easy targets for state governments. But as this book demonstratesusing thorough analysissuch taxes are often downright counterproductive and can actually reduce total state tax revenues. Six statesTexas, Louisiana, Alaska, California, Oklahoma, and Wyomingaccount for 80 percent of all oil produced in the United States. Except for California, most oil producing states rely on a severance tax for the majority of oil revenues. Yet contrary to popular belief, California does not place an abnormally light tax burden on crude oil producers. Considering both tax and royalty revenues, state government revenues from oil production in California amounted to 13.4 percent of the value of nonfederal production in the state, well above comparable rates for Oklahoma, Texas, and Wyoming. Severance taxes are economically very inefficient but politically very tempting. Because oil cannot leave the state, it presents an easy target for tax-hungry legislators and bureaucrats. But severance taxes drive out other variable factors of production, such as labor and capital, and thus stifle production. Because it has no severance tax, California has one of the least costly, least economically distorting energy tax systems in the nation. If California imposed a 6 percent severance, it would reduce the average remaining economic lifetime of existing wells by three years. Over the full lifetime of existing wells, the tax would reduce production by about 10.5 percent of the remaining production from those wells. Severance taxes discourage exploration efforts and the drilling of new wells. A 6 percent severance tax in California, for instance, would reduce the number of new wells drilled in the state by 230 to 280 annually, or 6.5 to 7.0 percent. Imposition of a 6 percent severance tax in California would destroy jobs. Direct employment demand in the fossil fuel extraction sectors would fall by an average of 1,700 to 2,600 positions over a 30-year period. When the indirect employment effects in other sectors are added, the total reduction in California employment demand would amount to 9,00 to 16,000 full-time equivalent positions. Imposing a severance tax in California would reduce significantly gross sales of oil in the state. Estimated total reductions from the direct and indirect effects of a 6 percent severance tax would total $1.2 to $2.0 billion annually. Mineral and energy deposits are appealing tax targets. They seem to represent perfect opportunities for collecting government revenues without inducing production facilities to move to another jurisdiction. After all, the mine or the oil well can hardly migrate across state or local boundaries. But as this valuable book demonstrates, economic reality is not so simple. Governments utilize taxes to pay for services and to redistribute income. In pursuing these ends, governments have the capacity to affect significantly the productivity of the economy. Poorly designed tax policy holds the potential for distorting the mix of outputs produced relative to the mix that the consuming public desires. When productive assets have the ability to flee to jurisdictions with lighter tax burdens, tax policy also can constrain the absolute size of an economy. To the extent these effects arise, the public s standard of living is held down or an excessively high price is paid for redistributive goals. Economic principles generally prescribe the use of broad-based levies, such as consumption taxes, that leave an otherwise level playing field free of disproportionately taxed sinkholes. Taxing any one sector more heavily (on a percentage basis) than others can place that sector at a disadvantage when trying to attract customers or investors. The opportunity to tax immobile production facilities, such as oil wells, seems an exception to the prescription for broad-based taxes. But this overlooks the flexibility of other variable factors, such as labor and capital, that are utilized in exploiting a fixed resource stock. Their use can be discouraged by excessive taxation, particularly if the industry can turn to sources in other jurisdictionsin the way that oil production can shift to Texas or the foreign sector if a producing state such as, say, California taxes too aggressively. Notwithstanding the fact that taxes on mineral and energy resources may have negative effects on production, state governments in a federal system are particularly attracted to them. The relative immobility of a natural resource stock such as oil means that a relatively high percentage of any tax burden may be exported to other states. That is, the resource owners cannot flee with their oil to avoid paying taxes, and at least the corporate owners tend to be dispersed far beyond the borders of the taxing state. Consequently, the burden of state taxes on mineral and energy resources tend to be substantially external to the taxing state; and the externality can encourage states to overtax the resource sector. Economically, this incentive is limited only by the losses a state experiences as its resource taxes force the flight of mobile capital and materials used in resource extraction and depress the demand for land and labor in the state. At present, all major oil producing states collect significant revenues on oil production through income, property, and severance taxes. California stands out for its failure to rely on any significant severance collections, depending instead on other taxes and royalties. This anomaly has prompted interest in some quarters for increasing levies on California oil producers, who appear to be more favorably treated than their counterparts in other states. A proposal to impose a severance tax of 6 percent on the gross revenues of California oil producers provided the immediate impetus for this book. 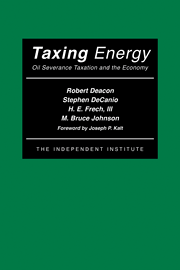 The authors, Professors Deacon, DeCanio, Frech, and Johnson, are each noted economists and energy policy experts. Together, they have produced a careful and accessible analysis of state energy taxation. 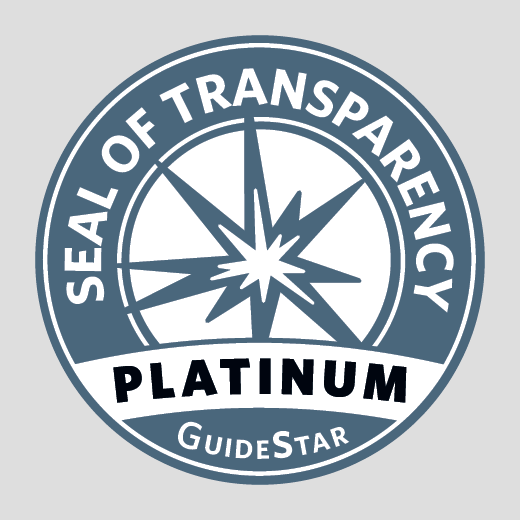 Their factual findings are relevant to any state considering severance taxes. It turns out, for example, that while California s tax burden on oil producers is slightly below average among the states, the combined revenues from taxes and royalties (expressed as a percent of the value of production) indicate that California is not easy on oil producers. Yet California has one of the least distorting energy tax systems in the nation. This is owing to the fact that California, unlike most other states, taxes primarily the net income from energy resource extraction rather than gross revenues. Taxing Energy reports that fully 90 percent of Californias oil tax revenues come from levies against net income, compared to 38 percent in Texas, 14 percent in Louisiana, and 13 percent in Oklahoma. A tax on gross revenues forces producers to treat the tax as another cost of productiona force that discourages incremental supply. A tax on net revenues, however, dampens this effect so long as producers are left with after-tax returns sufficient to leave them profitable. A severance tax, levied against gross revenue from oil production, would thereby discourage development of California s resources. The authors here estimate that a 6 percent state severance tax ultimately would cause California to recover about 10 percent less oil than it would otherwise retrieve from its resource base. Along with this reduction would go a cut of 3-8 percent in the size of the work force in California s resource extraction sector. Even more important is the books general teachings about the systemic effects of tax policy. The lessons carry across jurisdictions and economic sectors. While a particular tax target may appear captive, many of its complementary inputs, such as labor and materials, are variable in their use. When a tax policy aimed at garnering the rents associated with an immobile resource such as oil in the ground is implemented, labor and materials will be pulled out of or never put into the affected sector. The result is an economic chain reaction: fewer workers carry home paychecks and fewer suppliers of materials earn their incomes. The places where these factor incomes would otherwise be spent then experience some of the tax s impact. Indeed, even the taxing governments attempts to raise overall revenue can be substantially thwarted as factor incomes and overall output decline. Taxing Energy carefully uses information on the input and output exchanges between economic sectors to show the linkages in this economic chain. The book reports, for example, that the induced decline in state-wide labor demand upon imposition of an oil severance tax would be four to eight times larger than the work force reduction predicted for the extraction industry alone. This suggests downward pressure on state-wide wages and attendant reductions in the inducements to live in California. Taxing Energy illustrates how to get from the blackboard of economic theory to the hard quantitative information that sound policy design requires. After first figuring out how a severance tax would affect the profit-seeking strategies of oil producers, the authors combine detailed economic and geologic information on the relevant production processes to isolate the direct effects on California s oil industry. These direct effects touch off secondary effects that ripple through the state s economy, as captured in the book s input-output data. Following these steps is most educational for the real-world tax analyst. By pointing out the costs of taxing the oil industry, Taxing Energy is anything but a defense of the status quo. Its policy message is clear: the public and its representatives need to understand the consequences of attempts to find sources of government funding. Going after the apparently easy targetsthe immobile assets of politically disfavored constituenciesis not free and may be downright counter-productive. Robert Deacon, Stephen DeCanio, H. E. Frech III, and the late M. Bruce Johnson have all been Professors of Economics at the University of California at Santa Barbara. Mr. Bruce Johnson was the founding Research Director of The Independent Institute.